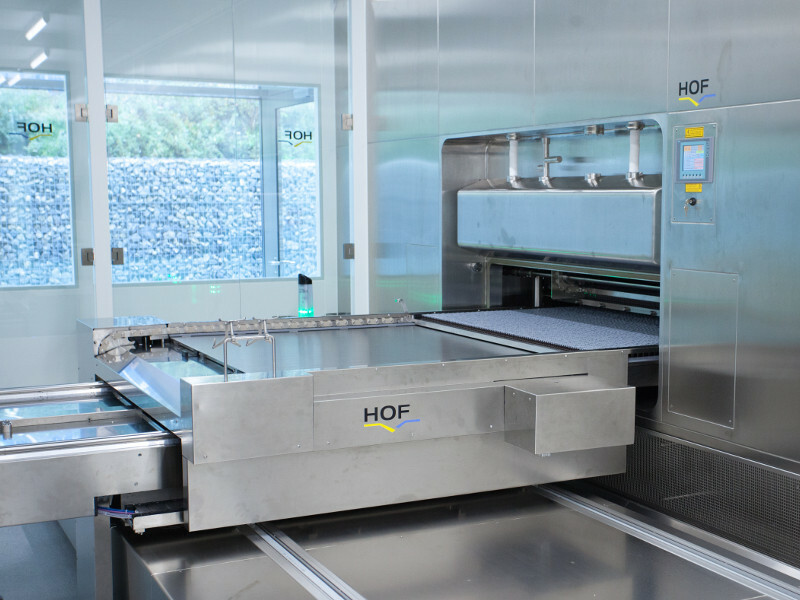 Equipment and systems from HOF are designed and implemented precisely to your individual requirements. 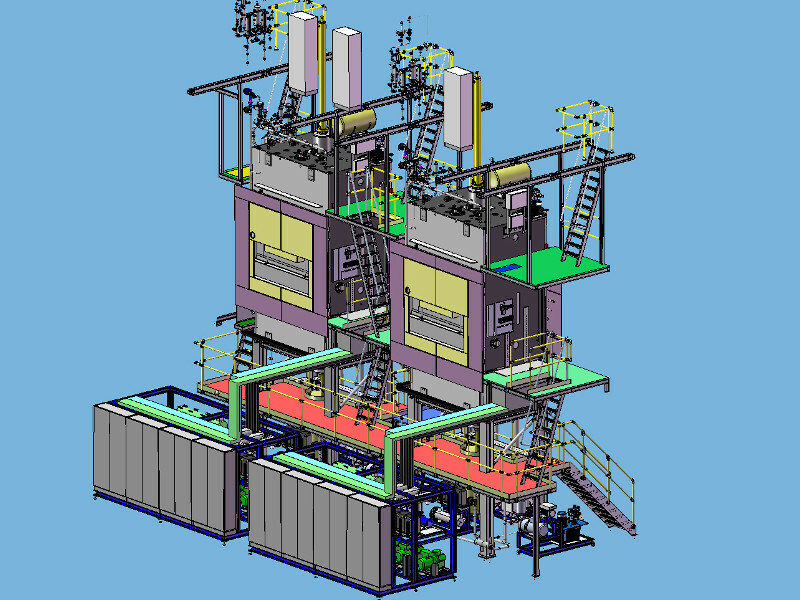 We use state-of-the-art technologies in the equipment and systems to achieve excellent results. HOF systems are often highly innovative and many new developments have been patented. HOF products can be characterized in three words which are important for pharmaceuticals and biotechnology: future-proof, powerful and practical. 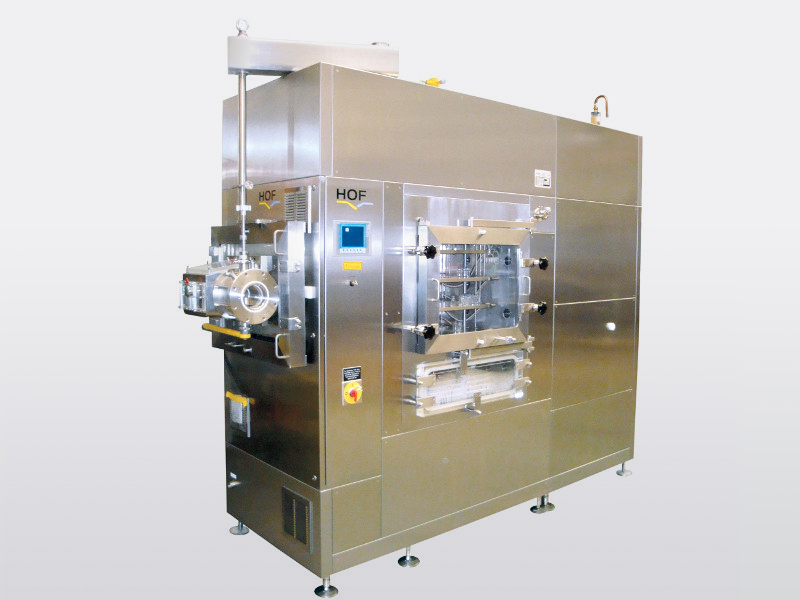 HOF freeze drying systems are tailored individually and precisely to the task at hand and to the specific production requirements. 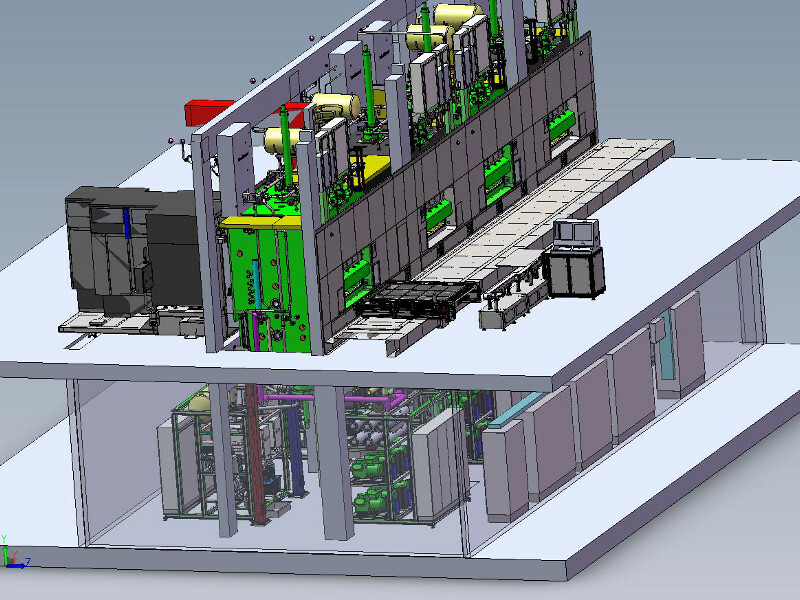 For systems which are required for research or for product and process development, we guarantee that the respective process parameters are fully transferable to the production systems. That ensures reliable production! And: Each system is ideally adapted to the structural environment on site. 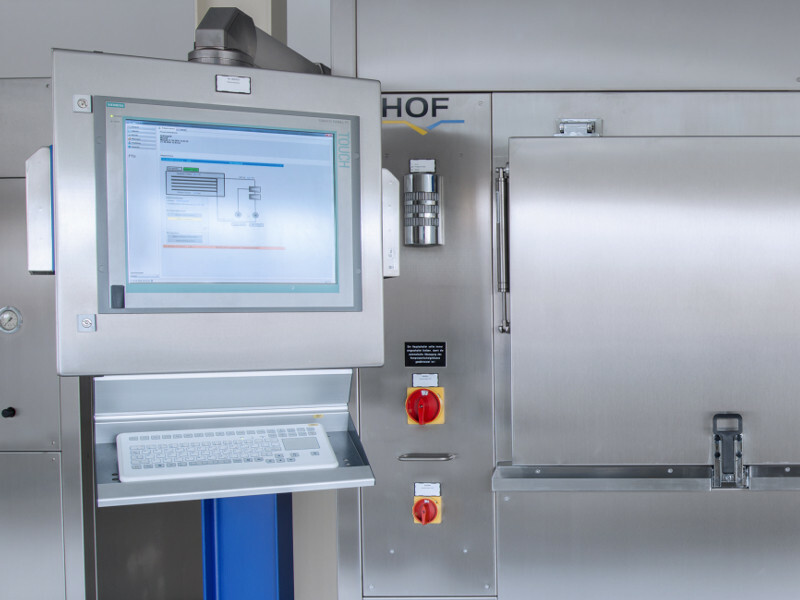 The specially developed software from HOF makes the process control of HOF systems particularly user-friendly. All functions are always visible at a glance and any irregularities are identified immediately. An optional remote control function provides reliability in production, because the cause is analysed precisely straight away in case of a malfunction. 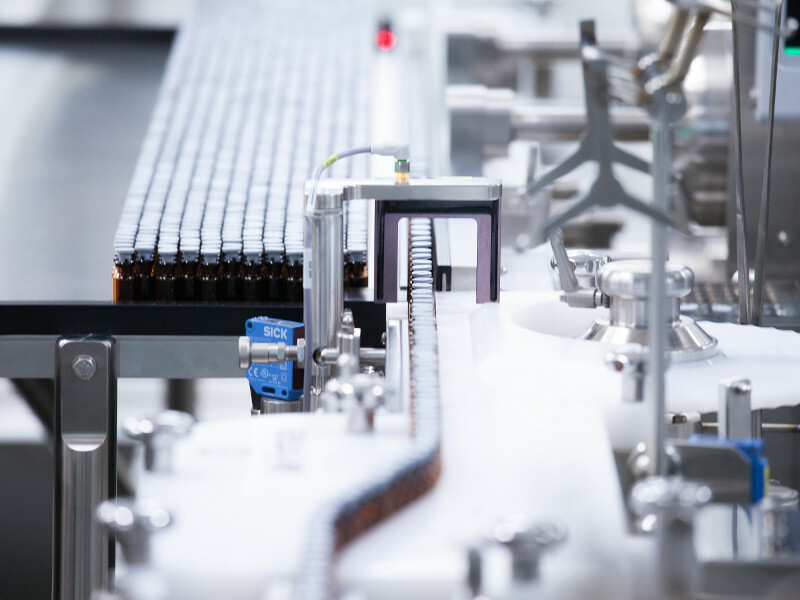 Our own products also include a visualisation system for creating product-specific temperature profiles, system visualisations and batch-based documentation of processes. HOF is the specialist for individual solutions. 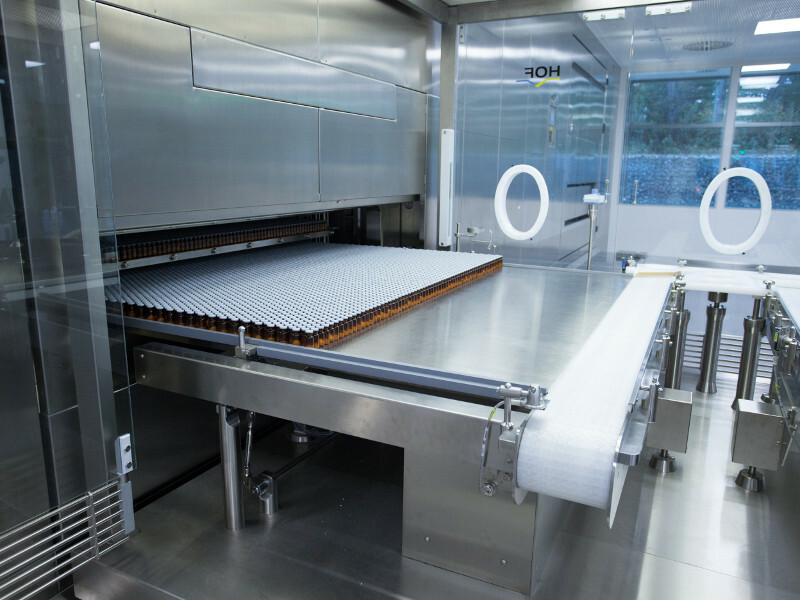 That is why freeze drying systems are tailored individually and precisely to the task at hand and to the specific production requirements. And: This allows us to ideally adapt each system to the structural conditions on site. 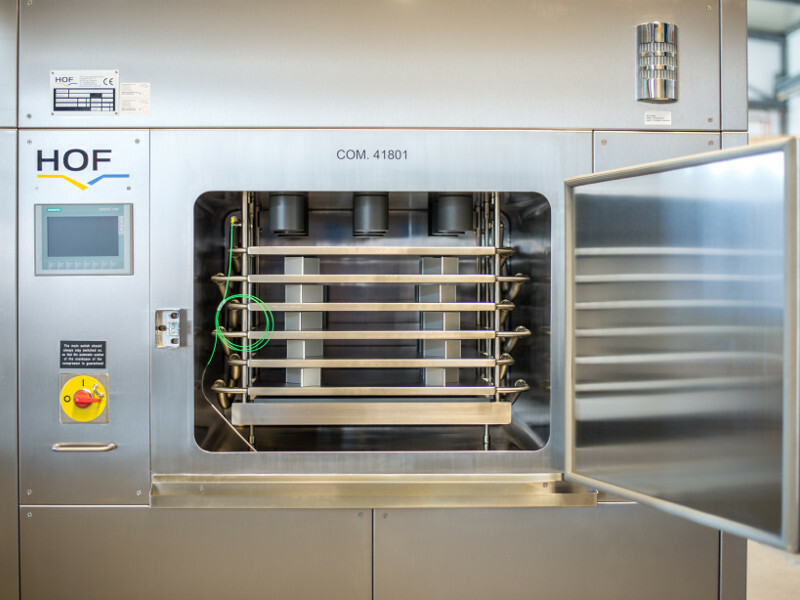 In this area, HOF offers a wider range of freeze drying systems, with regard to system size, model variants and optional equipment. 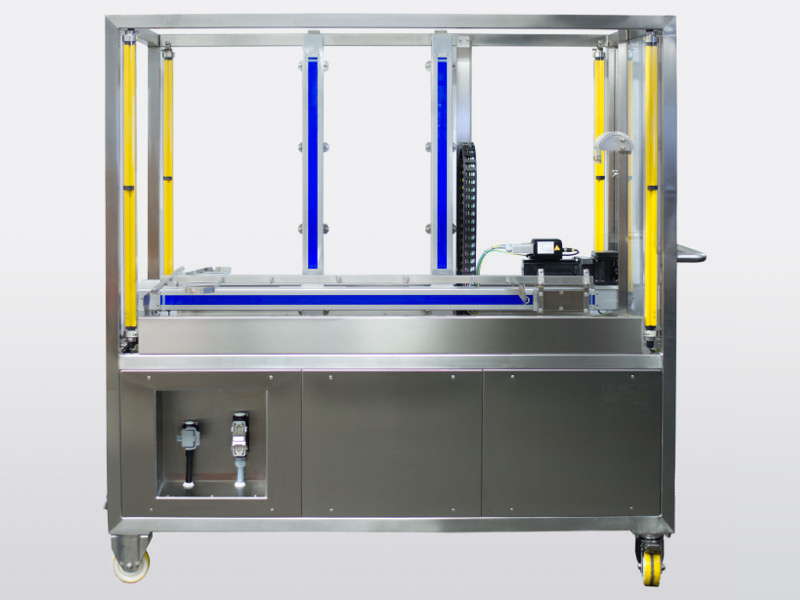 The portfolio ranges from small pilot systems with a footprint from 2.5 m2 to systems with a footprint of 75 m2. 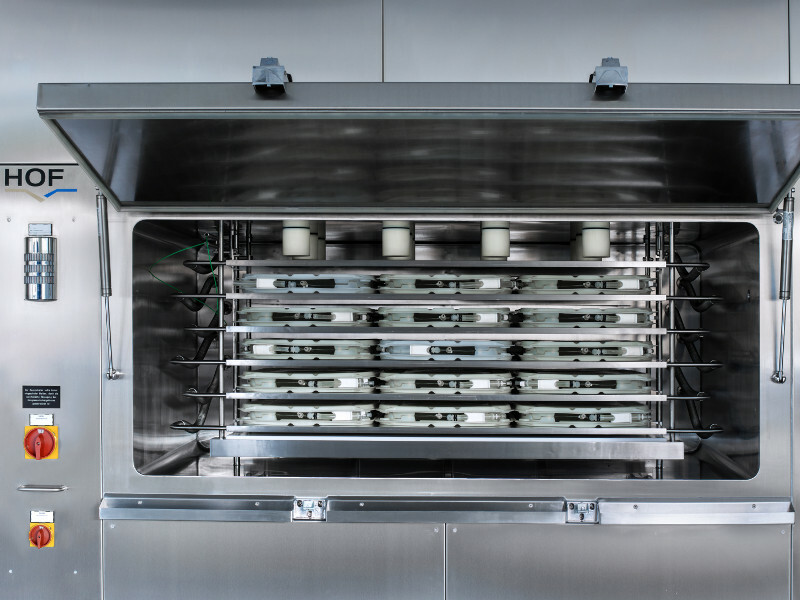 The systems can be equipped with different cleaning and sterilizing units for aseptic processing areas and with systems for decontamination of the system periphery. 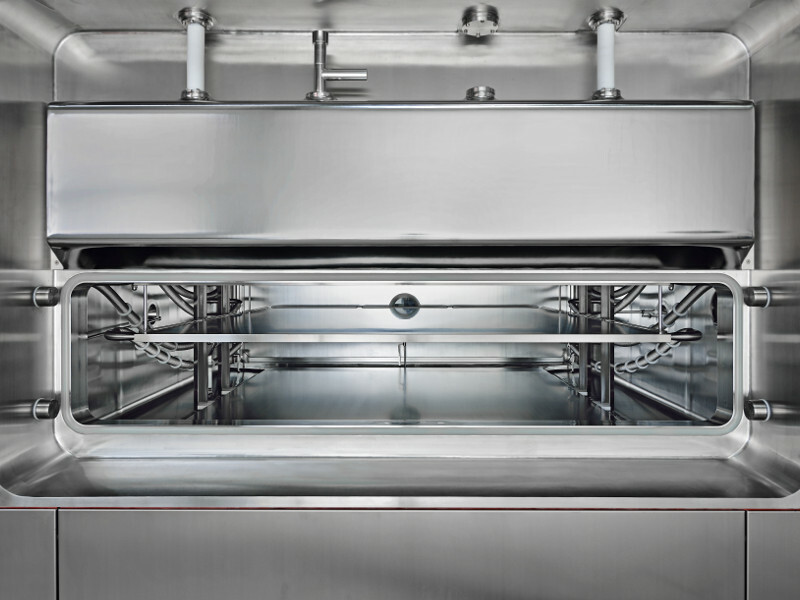 Systems with tilting shelves for cascade filling, with the shelves designed as product pans The CIP/SIP process can be used here to reload the system with products without opening the chamber door. Different systems are available for unloading. These are selected according to individual requirements. 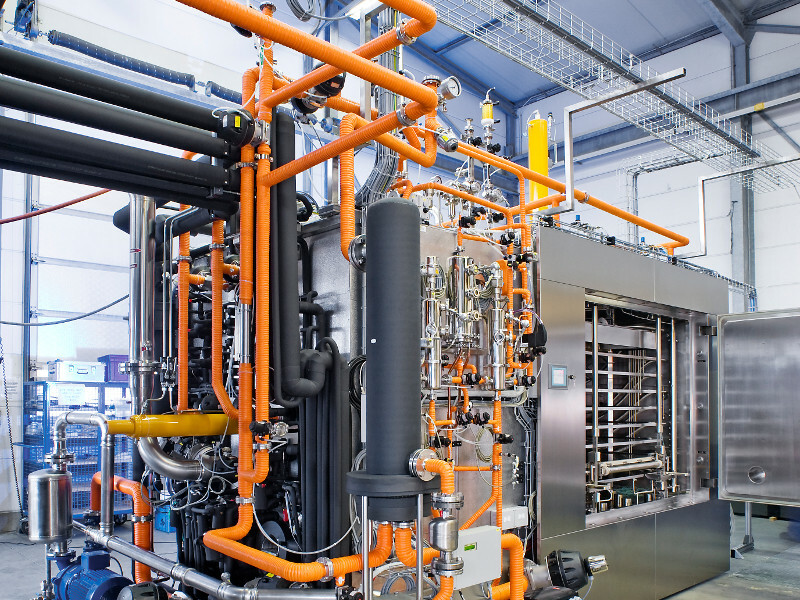 The same options are available for vial and bulk production systems. 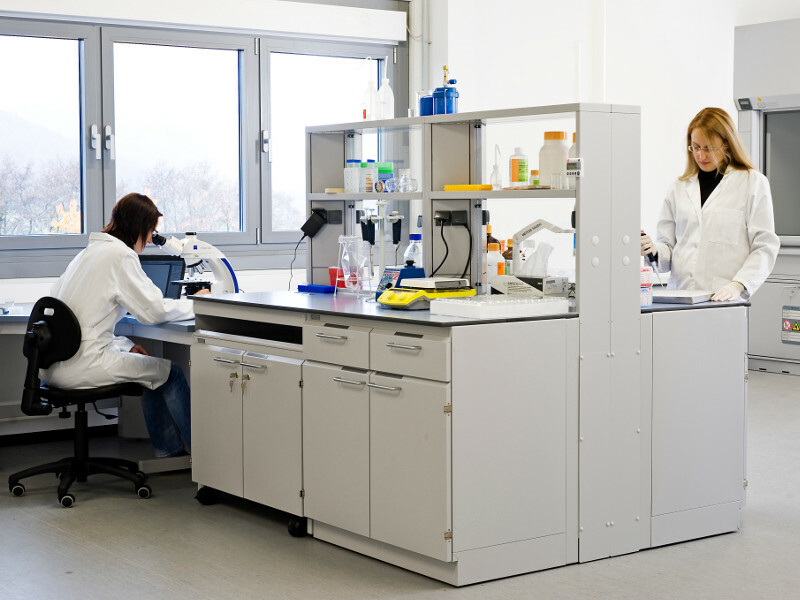 The customised laboratory systems from HOF with very high quality are used in many renowned companies and scientific facilities for research purposes and for product and process development. HOF offers the modern systems in compact or split design with a footprint of 0.2 to approx. 2.5 m2. Control, visualisation and technical operation correspond to that of a production system. Transferring the determined process parameters to a production system is made easier and forms the foundation for reliable production. 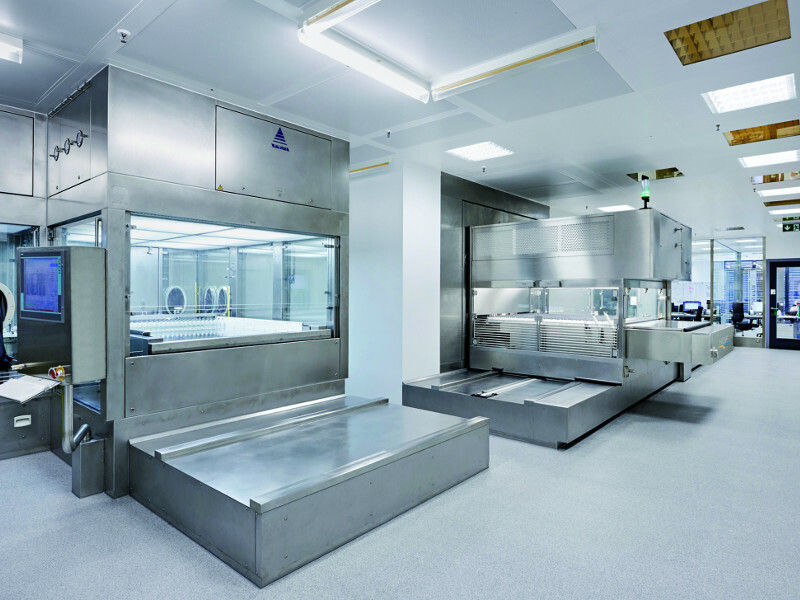 Each HOF laboratory systems consists of a fully functioning basic unit. Individual equipment variants for customised solutions are also available, providing the required flexibility for the task at hand. 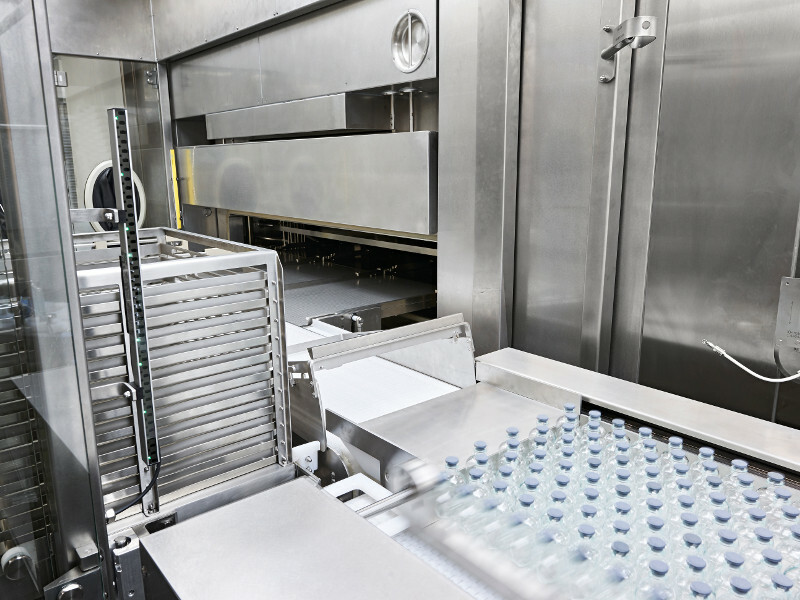 The safe, optimum and integrated transport of pharmaceutical products and primary packing is the core property of the loading and unloading systems from HOF. 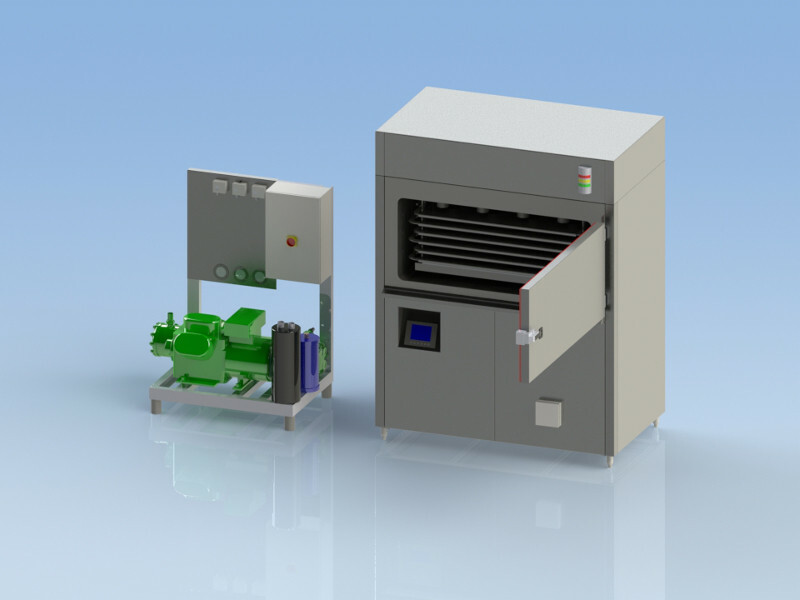 The large number of models for loading freeze dryers ranges from models for technical centres to production sizes. And: It allows individual adaptation to any layout. The new design was specifically adapted to customer-specific requirements. High performance and reliability are the crucial factors here. The range covers manual, semi-automatic and fully automatic systems. Special packaging materials such as 2-chamber vials or 2‑chamber syringes can be transported with ease. We hold patents worldwide for these technologies. 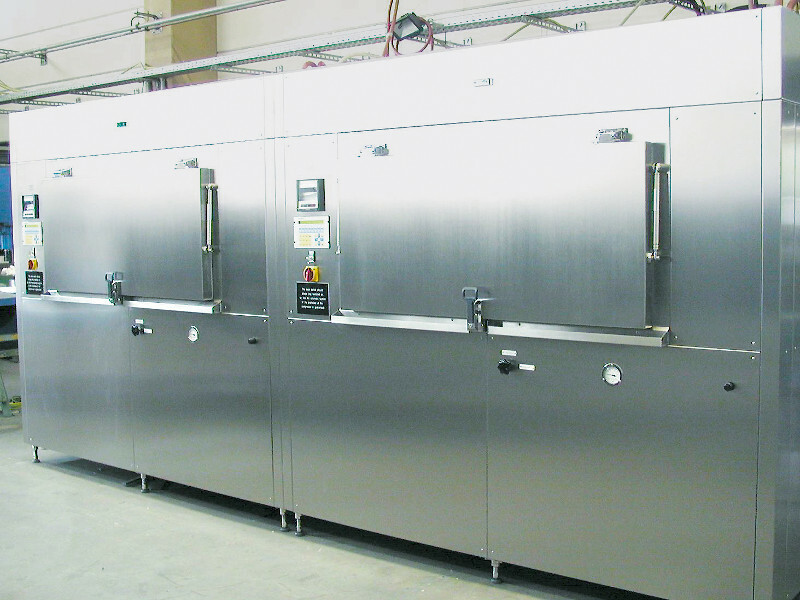 The loading and unloading systems are installed and tested at our own production facility together with freeze dryers or in front of a suitable dummy frame. The clear advantage is the reduced installation and test period at the customer site. 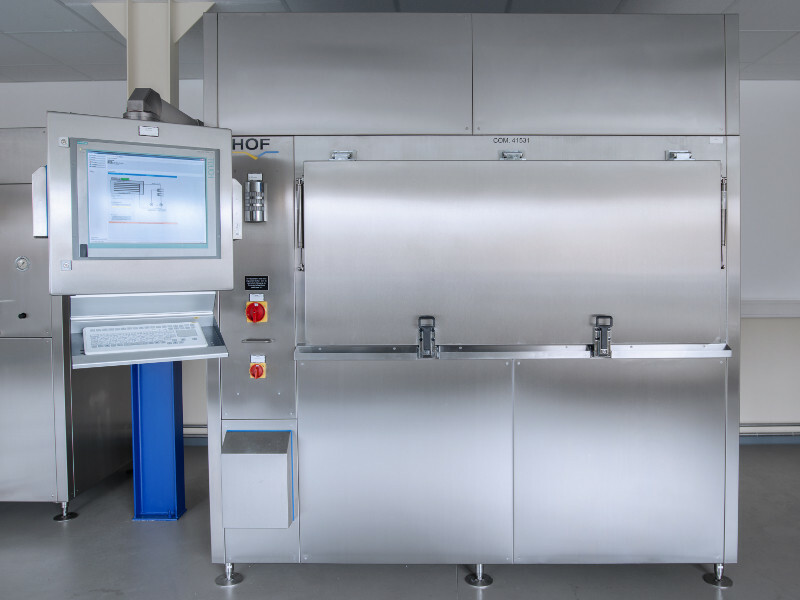 Existing freeze dryers can be retrofitted with the innovative loading and unloading systems from HOF to meet future requirements. Depending on the requirements, loading and unloading systems can be designed for insulator or RABS technology. Adjustable freezing speed and full control over the freezing process are among the top specifications for freezing systems from HOF. The total fill quantity is frozen evenly and independent of the bag size. Each product bag has the same freezing conditions and, at the end, the same shape. This allows bar codes to be machine-read on the flat surface, for example of a plasma bag. The reliable documentation of temperature and time are a matter of course. 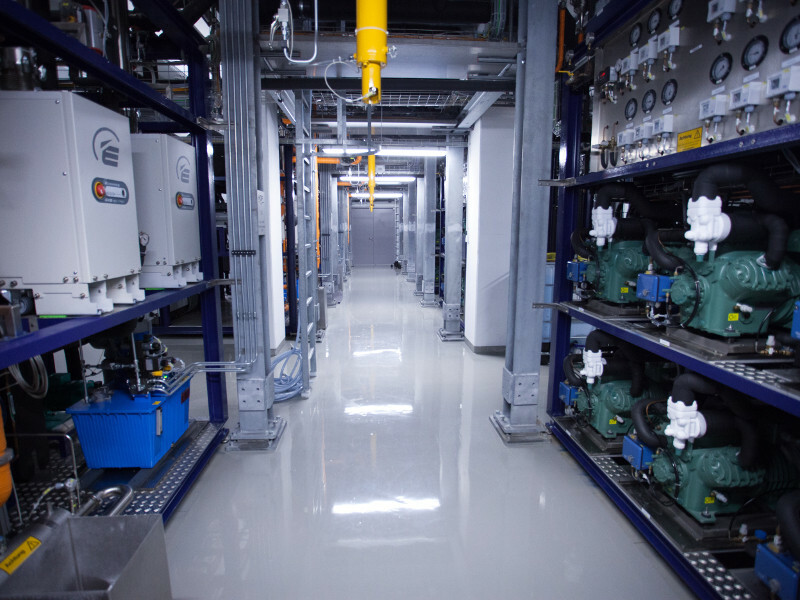 Freezing systems from HOF are energy-saving with indirect refrigeration and use no energy when idle. Large doors ensure fast loading and unloading. 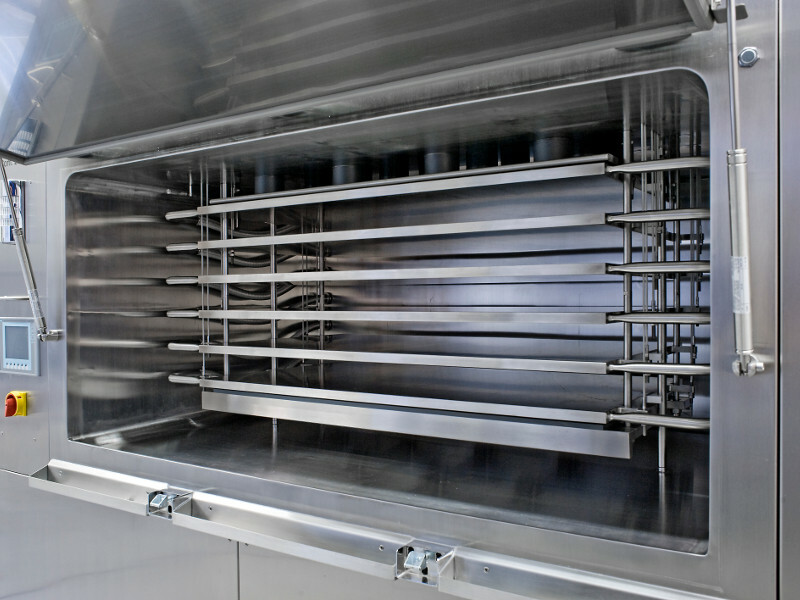 The interior of the devices are made of stainless steel and can be cleaned easily. Adjustable freezing speed and full control over the freezing process are among the top specifications for freezing systems from HOF. The total fill quantity is frozen evenly and independent of the bag size. Each product bag has the same freezing conditions and, at the end, the same shape. This makes it possible for bar codes to be machine-read on the flat surface, for example of a plasma bag. Reliable temperature and time documentation is a matter of course. 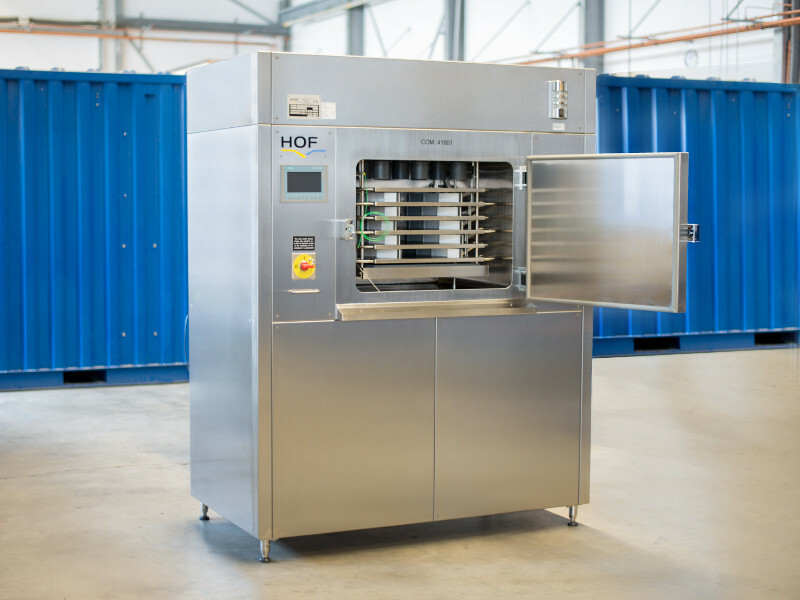 HOF‘s Freeze-Thaw Units guarantee quality-compliant storage of blood plasma because the product bags are frozen within 45 minutes to at least -30 °C at the bag’s core. At the same time, up to 120 bags with a capacity of 400 ml can be processed. The frozen blood plasma can also be safely thawed again. Because our customers have different product capacities, there are two model types available: On the one hand, systems for processing up to 60 of the 400 ml bags are manufactured and, on the other hand, systems for up to 120 of these bags. For individual adaptation Plants are divided into two different types. The compact design accommodates all process-relevant components within the device. On the other hand, there is the possibility of split-construction to lower the sound pressure level directly on the device. 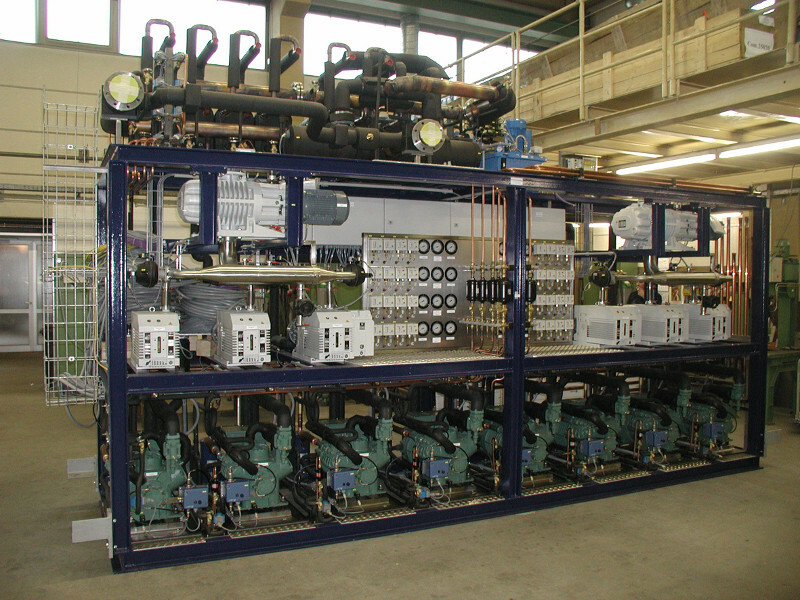 Here, the refrigeration components outside the unit are mounted on a separate machine frame. The integrated pneumatic adjusting plate system compresses the product bags for the freezing process, so that all processed product bags have the same height after freezing. The product bags also have flat surfaces on both sides: Barcodes can be machine-read and storage is greatly simplified. The HOF Freeze Viewer Professional software developed by HOF is available for the documentation of processrelevant data. This software, which is configured for blood transfusion services, collects data such as bar codes, process reports and temperature history and either prints them out in the form of a process report or electronically transfers them to a higher-level system. 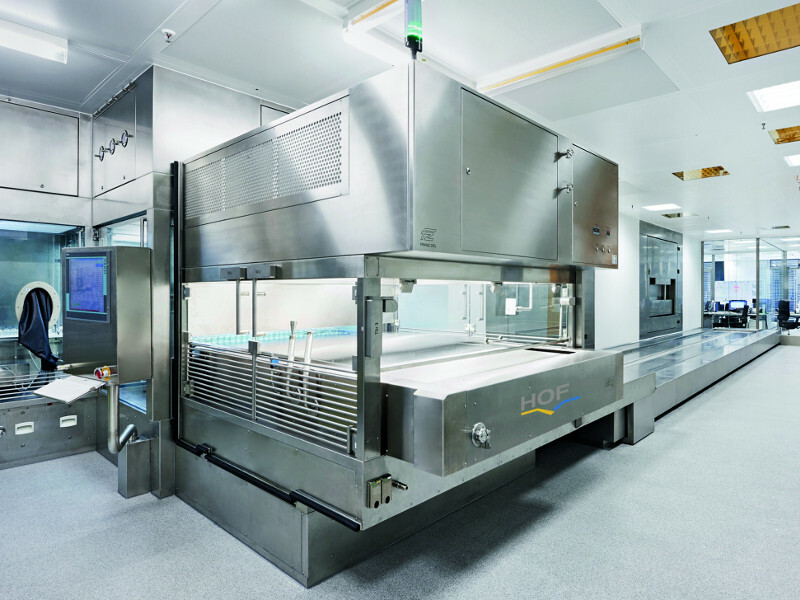 The device design for blood transfusion services is based on HOF’s state-of-the-art technology. Apart from production, we also offer, as part of the scope of supply, special packaging, transport and handling support, as well as annual service and maintenance units. Adjustable freezing speed and full control over the freezing process are among the top specifi cations for freezing systems from HOF. The total fi ll quantity is frozen evenly and independent of the bag size. 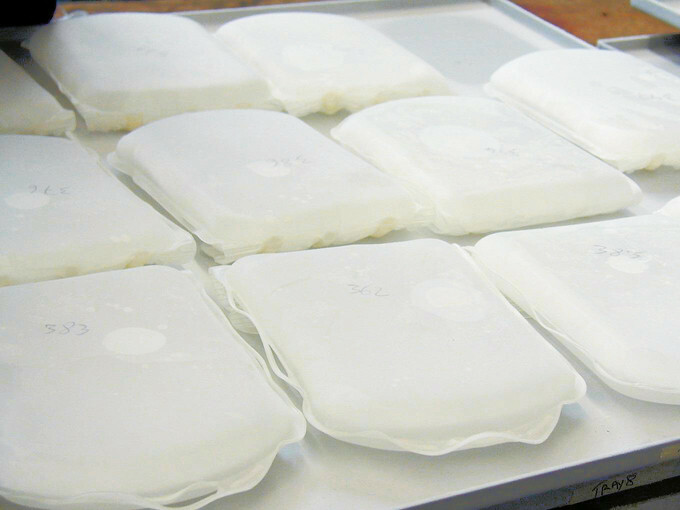 Each product bag has the same freezing conditions and, at the end, the same shape. This allows bar codes to be machine-read on the fl at surface, for example of a plasma bag. Reliable temperature and time documentation is a matter of course. 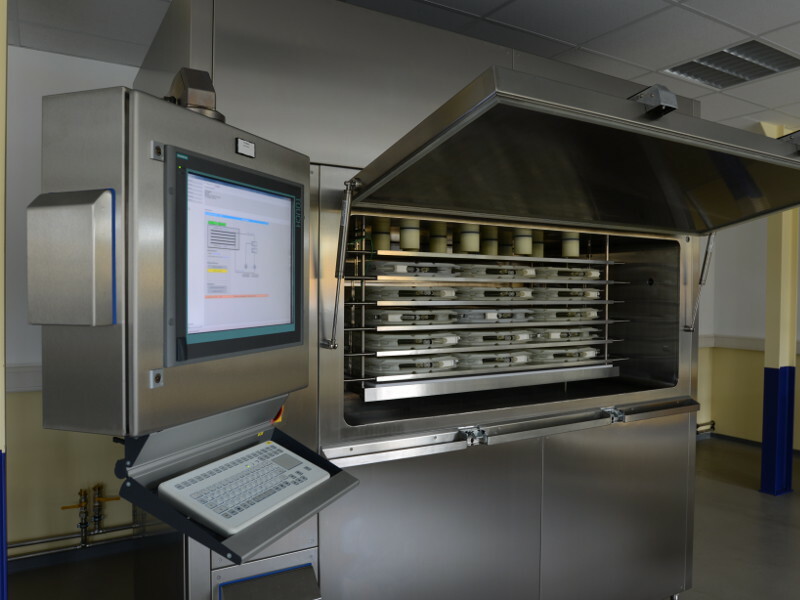 Reliable process control is indispensable when freezing and thawing pharmaceutical and biotechnological products. The same applies to the adjustable freezing and thawing speed. Here, with the individual Freeze Thaw Units (FTUs), HOF meets all the requirements of professional users from the industry. The FTUs are each developed and manufactured according to customer-specifi c requirements. Products that have to be fed into bag systems can be transported into the plant either manually or by means of a semi-automatic loading aid developed by HOF. 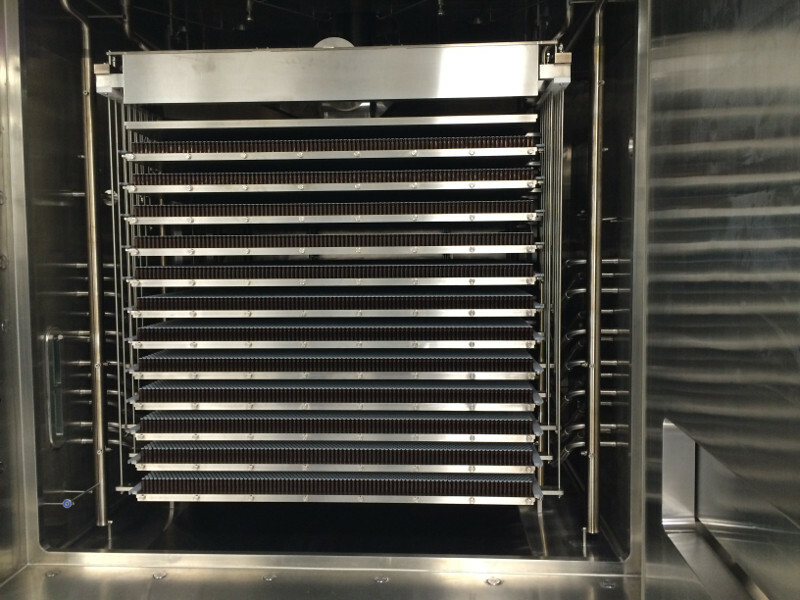 Two types are offered in order to respond fl exibly to on-site installation possibilities. The compact design accommodates all process-relevant and electrotechnical components inside the device. On the other hand, there is the possibility of split-construction to lower the sound pressure level directly on the device. 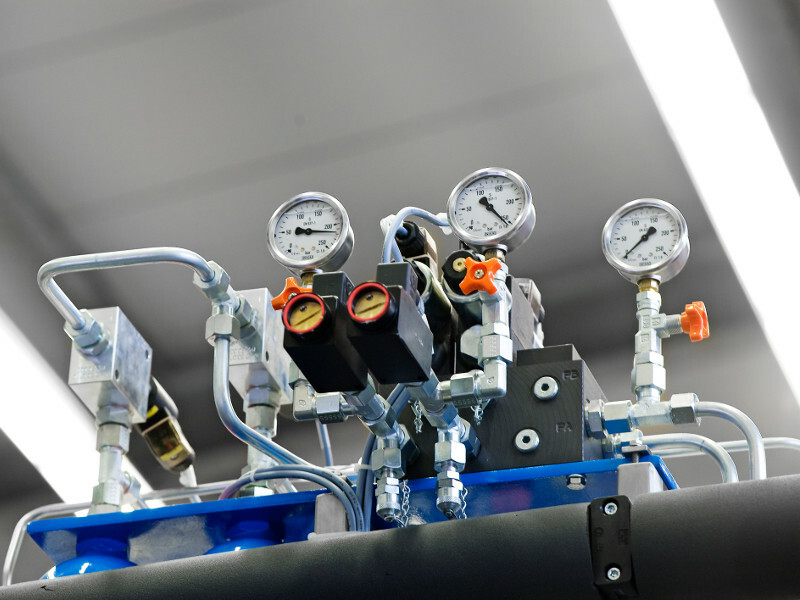 Here, the refrigeration components outside the unit are mounted on a separate machine frame. 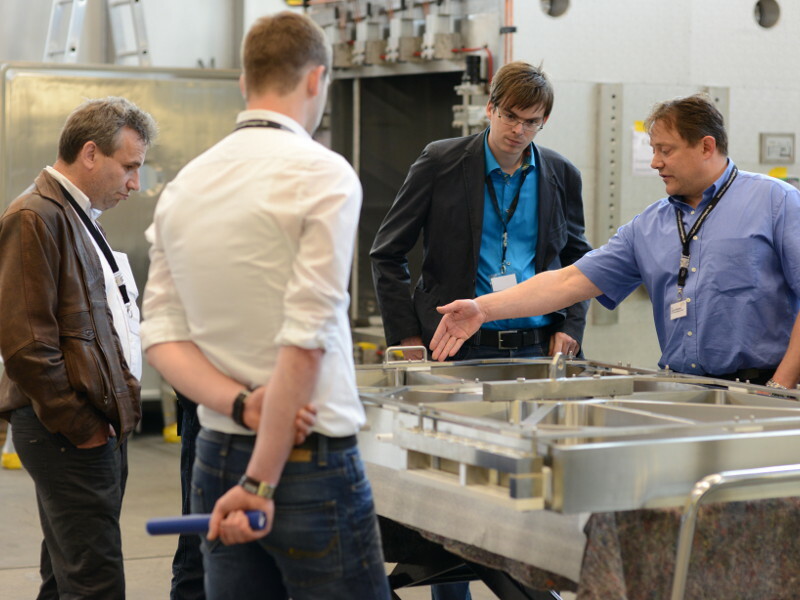 Product tempering takes place within the FTU via a plate system. The control panels are designed to freeze the entire load evenly and regardless of bag size. For temperature control, silicone oil is cooled with a separate cooling system or heated with the built-in electric heater. 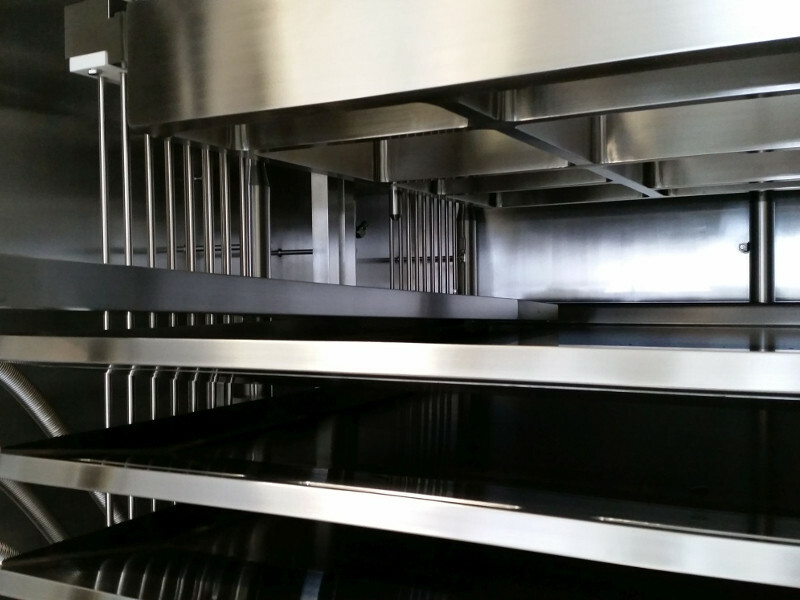 The integrated refrigeration system’s design is specified according to customer requirements. Optionally, a R452A type hydrofluorocarbon compressor system, a natural refrigerant compressor system (ethane/propene), or a liquid nitrogen system are available. 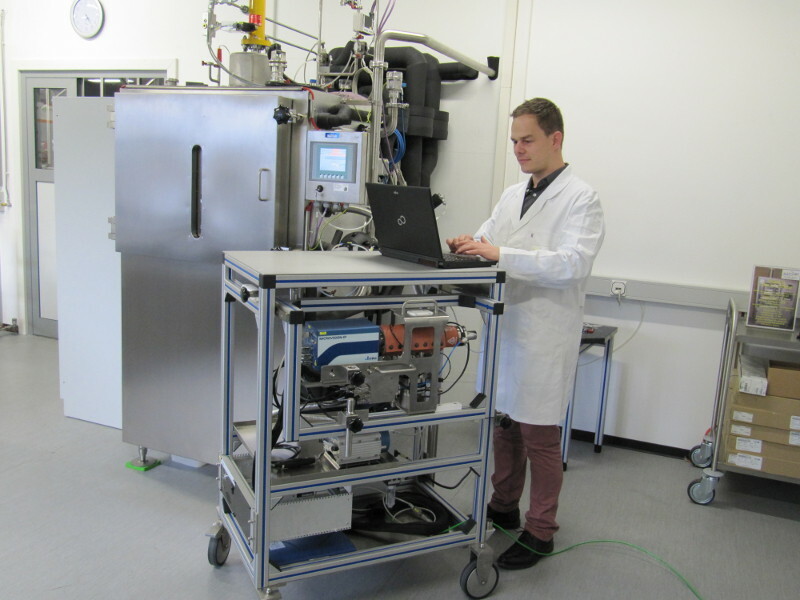 The FTUs are equipped with a visualization system for process control, the „HOF Freeze Viewer Professional“. 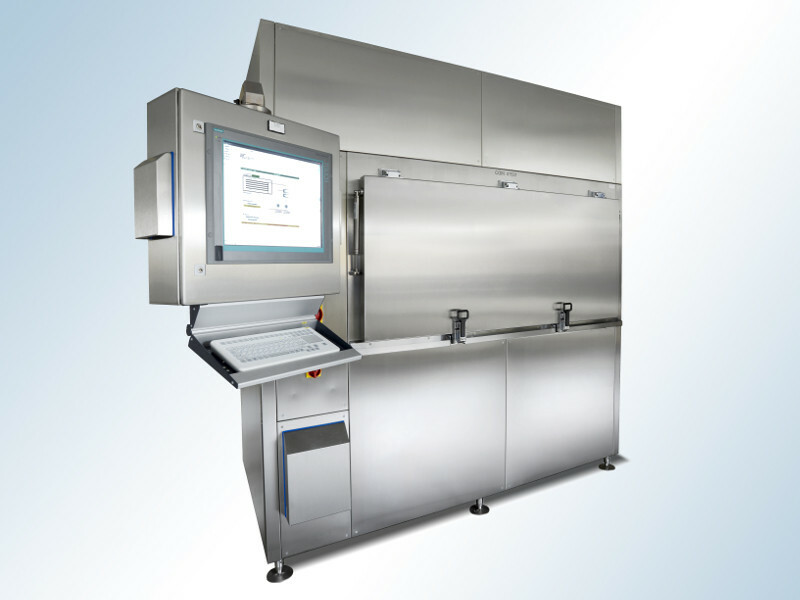 This system complies with FDA requirements according to 21 CFR Part 11. With this software, specially developed by HOF, all process-relevant data, such as batch reports and temperature profiles can be printed out in the form of a process report or sent to a superordinate system. Customers can create respective recipes for the individual products individually. HOF’s FTUs always comply with state-of-the-art technology and meet high safety standards. Apart from production, HOF stands for comprehensive project support. 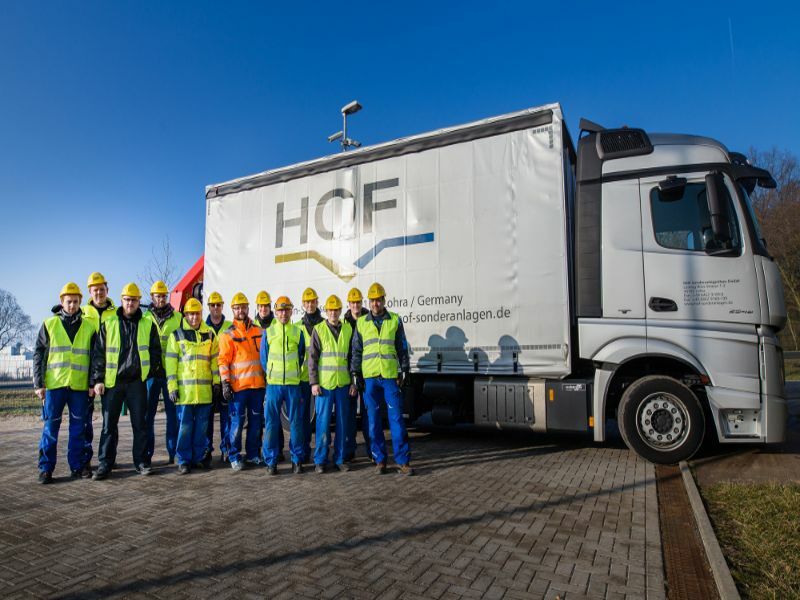 At the same time, the entire project - from plant planning and production at HOF to commissioning - is entirely managed on-site by a project team. HOF is also available during transport and during introduction of training courses and the annual service and maintenance units. 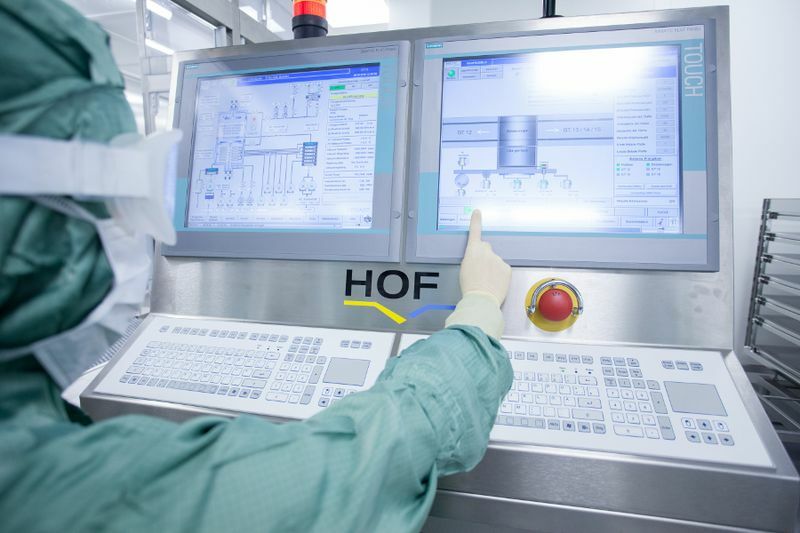 Only our own employees work on your system at HOF – even long after it has left our factory. HOF employees transport, install and commission your system and also qualify it. This minimises interfaces and excludes problems, saving time and costs. 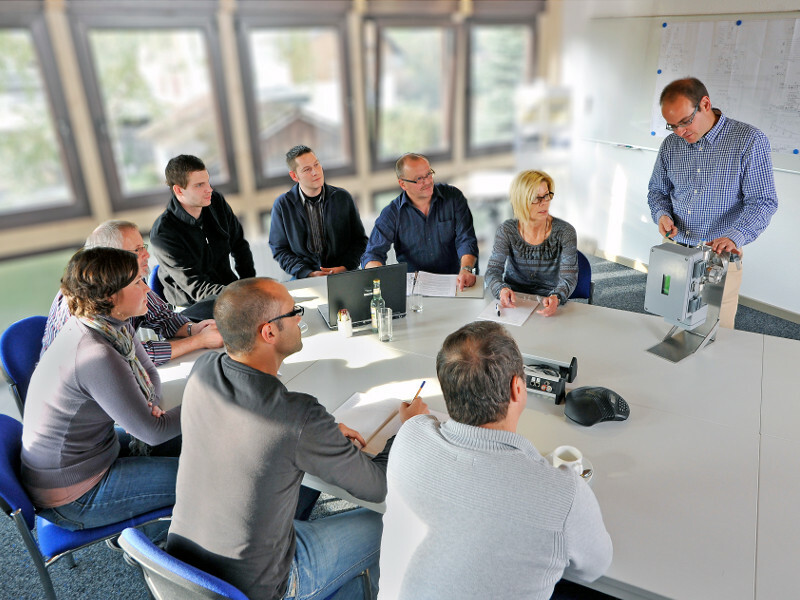 You can always reach one of our employees in emergencies at +49 6462 9169-0. 24 hours a day, 365 days a year. Why? Simply because we know that our systems are an important part of the production process and that production reliability has to be ensured. Our emergency team from service and production know the system down to the last detail and can help immediately to keep downtimes as short as possible. 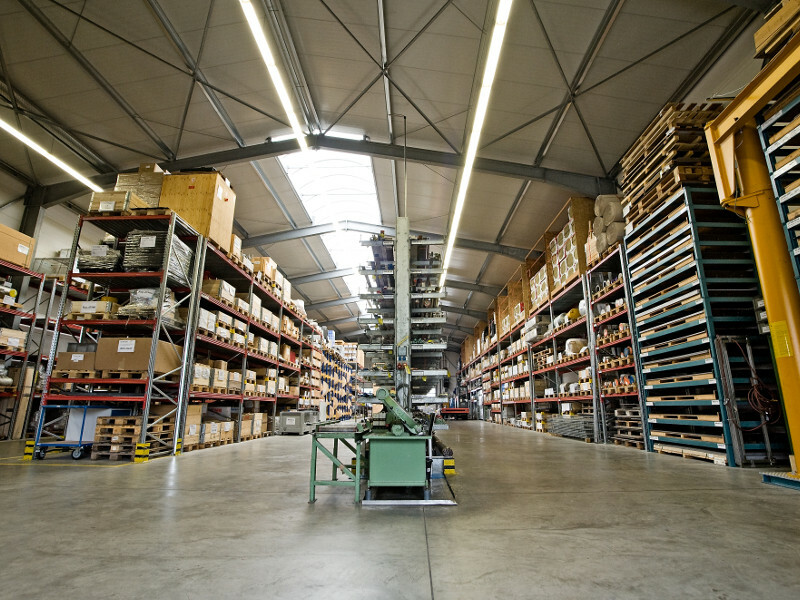 The on-site warehouse with over 60,000 items ensures that the essential spare parts for all systems are always available without delay. 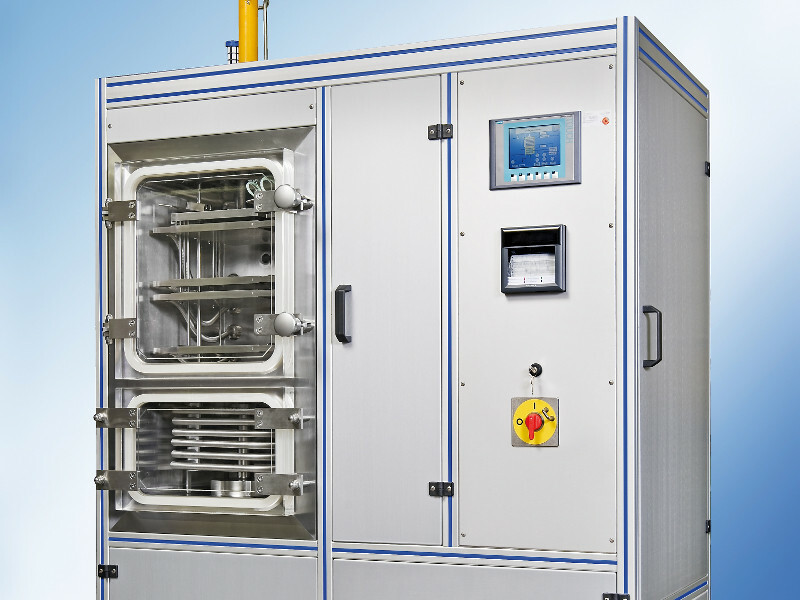 Among others, Kaye validation systems are used for the qualification in the framework of temperature distribution measurements and sterilisation validation. The validation and qualification systems are subject to continuous testing. The services provided by HOF also include qualified process development to offer you added reliability. 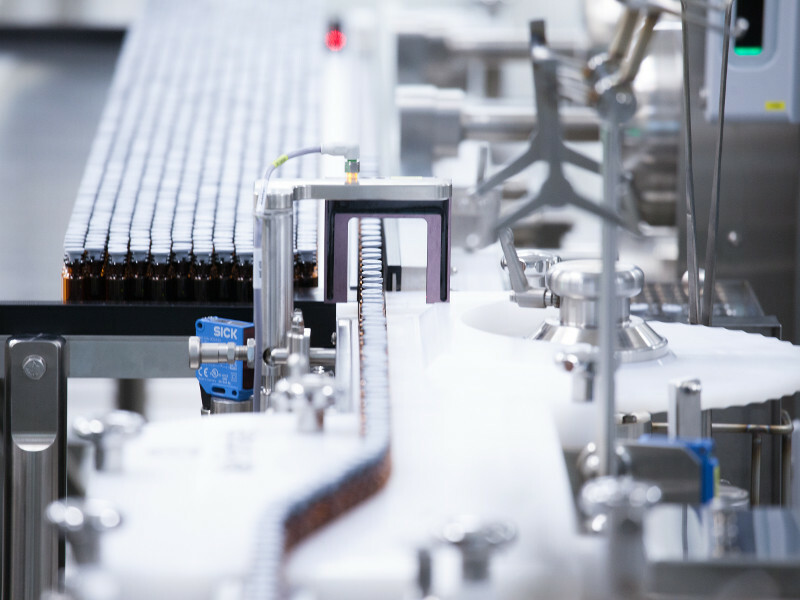 We use our extensive modern equipment and the available laboratory systems to support you in all matters of process control. 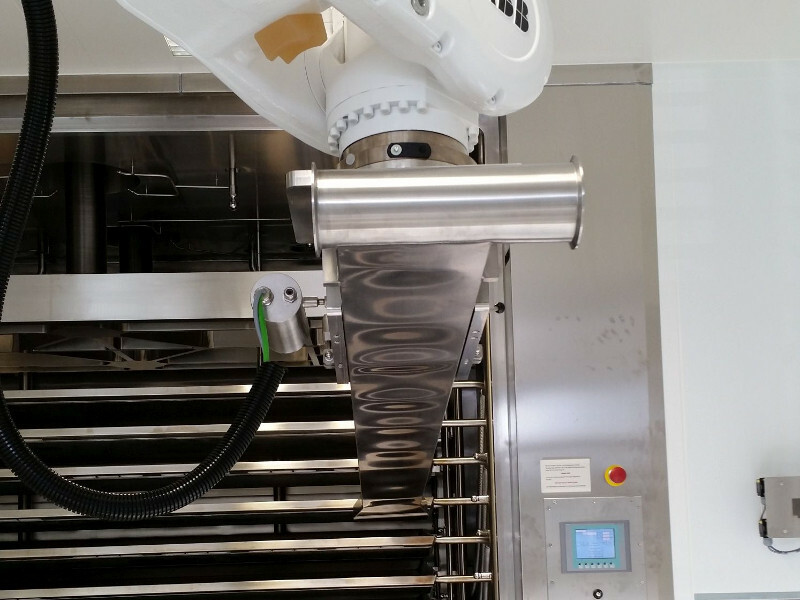 This allows us to reduce process times and optimise the quality of the dried product where possible. Equipment for resistance and temperature measurement as well as a cryo-microscope are available for detailed examination of your product. Regular maintenance is necessary for perfect functioning of your system. 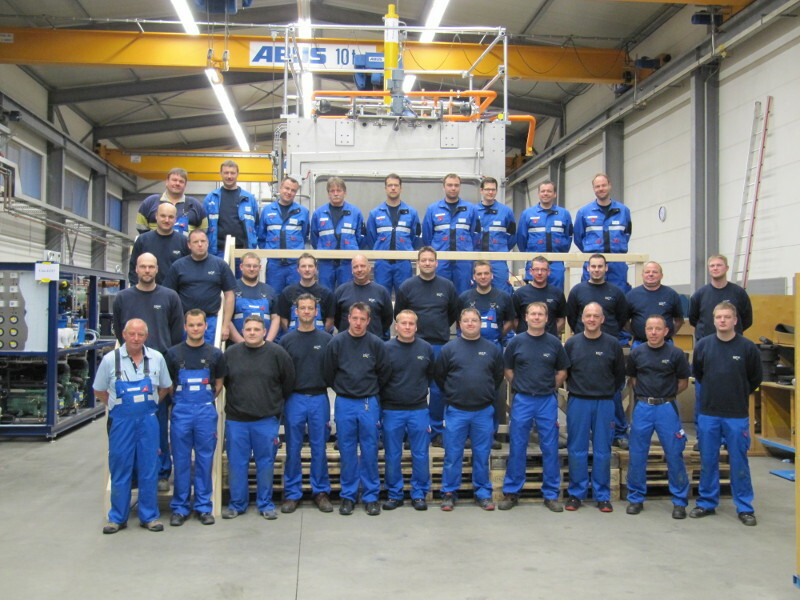 We recommend annual maintenance – necessary due to the service life of seals, for example. It is practical to carry out the annual calibration of the measurement equipment and the sensor system at the same time. After completing the maintenance and calibration work, the systems undergo documented test runs. What is important in this context: The HOF team is also available for freeze dryers from other manufacturers! 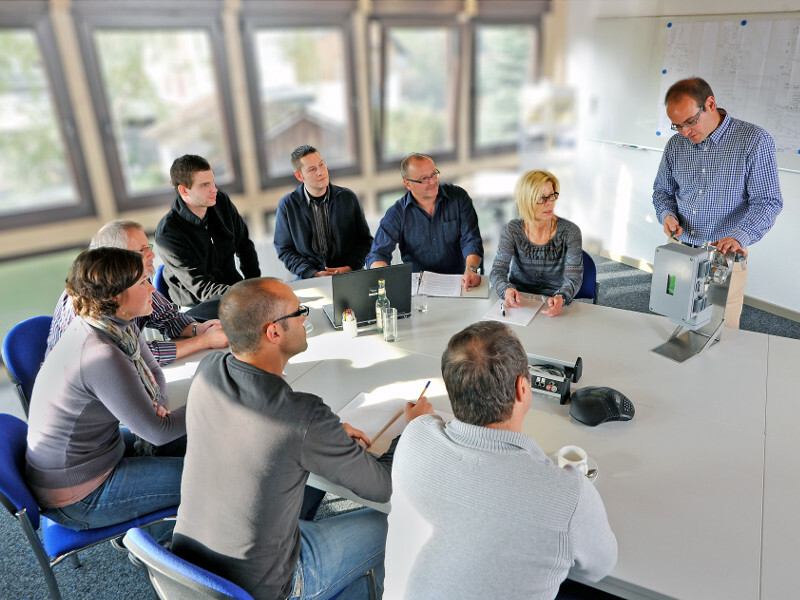 For the targeted transfer of knowledge, we always offer training courses which are adapted to your company and your system. HOF training courses are designed to familiarise your employees with your individual system fundamentally and comprehensively, reducing downtimes, enabling fast and independent working and increasing productivity. To increase learning success and knowledge transfer, our employees focus on a personal teaching approach based on practical application.